Mayfly Central was launched on the web in 1995 and was the first site available on the internet dedicated to information about any single order of insects; in this instance, the Ephemeroptera (or mayflies). Emphasis has historically been on up-to-the-minute details about the diversity and distribution of mayfly species, especially in North America. While Mayfly Central information provided is useful to a broad audience, it is oriented more to general users and enthusiasts, rather than Ephemeroptera specialists. As a result, primary users are students, fly-fishers & naturalists, and agencies and workers involved with environmental issues associated with assessing and conserving freshwater ecosystems, such as our streams and rivers and their wildlife. That wildlife includes, of course, one of the major occupants and indicators for such habitats--the mayflies. 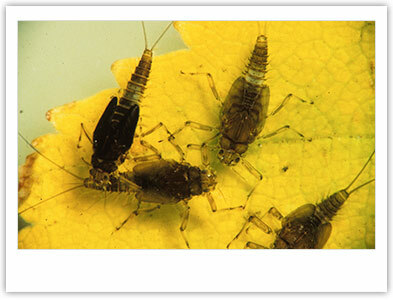 For additional information about Mayfly Central, see About Mayfly Central and The Mayflies of North America. 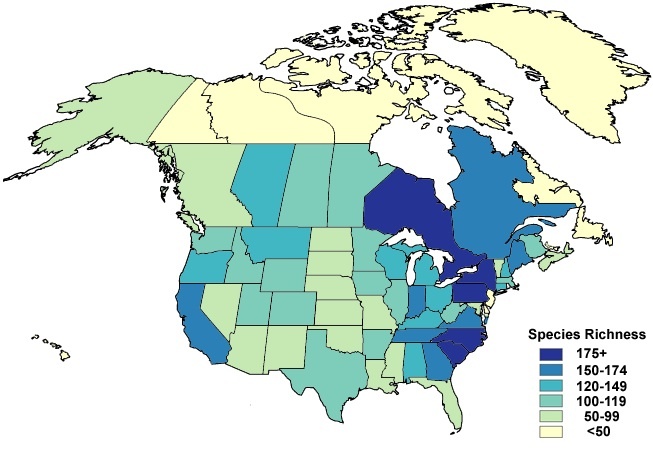 State and provincial estimates of mayfly species richness in the United States, Canada and Greenland, as of May 2015. 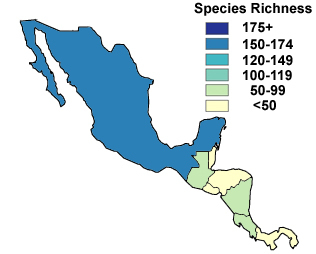 Reported mayfly species richness for Central American countries and Mexico, as of May 2015.